China’s importance to the rest of the world is difficult to overstate. Already the planet’s second-largest economy, and set to take the top spot by 2030, the Asian country contributes more than 35 percent of the world’s economic growth. During this process, Chinese businesses have continued to learn from western counterparts, while retaining the Chinese virtues of diligence and inclusivity, and a willingness to contribute and promote common development. One of the businesses that embody this new Chinese spirit of global entrepreneurialism is HNA Capital. 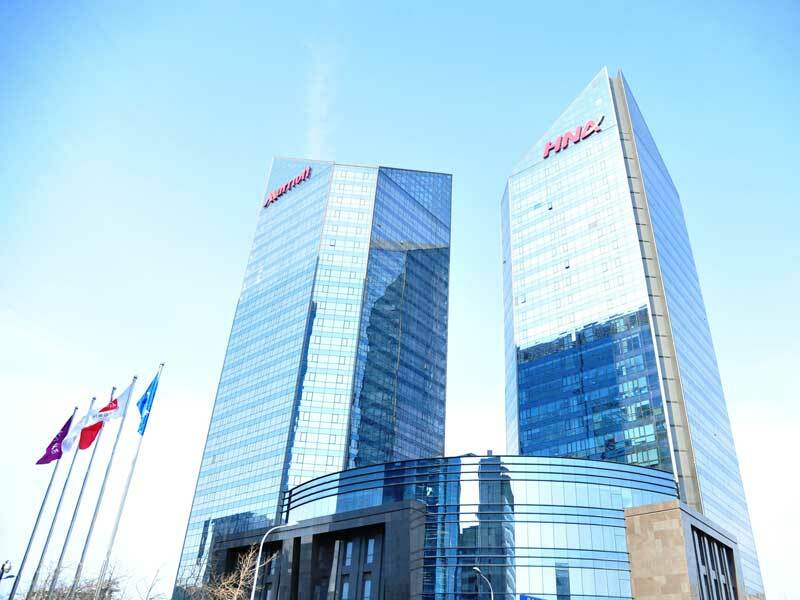 Established in May 2007 as a financial branch of HNA Group, HNA Capital offers a comprehensive and integrated set of financial services, crossing a broad range of sectors, such as leasing, insurance, trust, financial innovation, securities, banking and guarantee. As the Chinese economy transitioned to become more market-oriented, HNA Capital recognised the new financial needs of individuals and businesses. As a result, the company has rapidly increased its overall capability and the range of its products by implementing innovative solutions and seeking new merger and acquisition opportunities. Today, HNA Capital is able to provide diversified financial services to institutional investors around the world. With further market integration and globalisation, the company will keep its focus on banking, hedge funds and asset management companies as potential prospects for both acquisitions and strategic partnerships. World Finance spoke with Chris Jin, CEO of HNA Capital, about the company’s future investment plans and internationalisation process. How does HNA Capital assess which businesses present valuable investment opportunities? Where can you see the opportunities? HNA Capital has a comprehensive assessment process. Carrying out due diligence is important, of course, but we also take current policies, like the government’s Belt and Road Initiative, and the location of the investment opportunities into consideration. We analyse potential synergies between such opportunities and any of our member companies. Once the synergies are proven, we analyse the performance of the company, paying extra attention to the figures that will help us achieve our current objectives. A lot of opportunities may arise in the synergy of technology and finance. Our company is one of the leading players in the fintech industry in China. The constantly changing environment caused by technological disruption requires companies to take steps without any delay. HNA Capital has already recognised the importance of mobile payments, blockchain and artificial intelligence in providing more customised financial solutions and improving risk management practices. Are international investments in developed economies preferable to those in emerging markets? If so, how? The markets of developed economies are certainly attractive. Return on investment (ROI) is less volatile in developed markets, when compared with emerging markets, and companies have a stronger corporate governance structure, alongside a wider international presence. These factors play a determining role when deciding which market to invest in. Nevertheless, HNA Capital has always emphasised the importance of seizing opportunities and being at the forefront of industry development. Although HNA Capital has not yet invested in emerging markets, Chinese investors have already identified the potential of these markets, and if a good opportunity is presented, HNA Capital will act on it with due diligence. Additionally, China has recently initiated the Belt and Road Initiative, which we believe will bring prosperity to all participants and foster a truly global ecosystem. HNA Capital has also established a team that is in charge of monitoring the development of the initiative and identifying how HNA Capital can contribute along the way. What is HNA Capital’s strategy on post-investment management of overseas companies? Could you share your experiences? We try not to restructure an organisation by enforcing significant institutional changes. HNA Capital understands the difference between western and Chinese corporate cultures, which is why HNA Capital does not impose its managerial methods on acquired companies. Instead, HNA Capital delegates a top-management team to the acquired company to facilitate integration and communication. By doing that, we can be assured that the goals and visions of HNA Capital and the acquired company are aligned together. A good example of the independence we grant to the companies we acquire can be seen in Bohai Capital and the control that it retains over its subsidiaries. By allowing senior members of staff to manage partner firms in their own way, Bohai Capital has discovered new synergies with subordinate businesses like Avolon, Seaco and Cronos. In addition, when HNA Capital is dealing with international investments, we endeavour to form mutually beneficial support structures. For example, we augment post-investment management with exchange programmes so that Chinese colleagues will learn more about western culture and western colleagues will gain a better understanding of HNA culture. How important is it for HNA Capital to have good knowledge of a foreign market before making an international investment? Prior to investing, HNA Capital conducts thorough research and analysis of the market in order to eliminate any potential risk associated with outbound investments. The company will weigh economic, industry, political and sovereign risks and will make outbound investments accordingly. HNA Capital uses all available external and internal resources to gain the most comprehensive and in-depth outlook of the market. Investments always come with an element of risk. How does HNA Capital conduct good risk management at all times? Thorough due diligence is always conducted when evaluating a target. At first sight, numbers and synergies can be perfect, but integration still needs to happen, and this is the responsibility of the company making the acquisition. In our current position, we are invariably the acquirers. We do not spare costs for due diligence because this is an area where corners simply cannot be cut. We always have groups of experts assisting us with our acquisitions, alongside the very best consultants and investment banking analysts. Our use of the Financial Enterprise Risk Management Platform also ensures that HNA Capital has a clear overview of its six main divisions: operations, investment, innovation, human resources, finance and risk control. By creating a unified system across the company’s huge portfolio, HNA Capital can carry out high-quality risk management in any location and at any time. In the future, HNA Capital will improve the level of refined management, further integrate business systems and optimise model analysis capabilities, in order to provide data support for enterprise operations, and speed up the process of identifying, managing and reducing risk. What are some initiatives that demonstrate HNA Capital’s commitment to social responsibility? At HNA, we encourage the harmonious coexistence of corporate and social goals within our business model. With the help of our volunteer associations, we have made full use of our financial resources to promote social development by investing in education, pensions, special group care, poverty alleviation and protection of traditional cultures. HNA Capital and its member companies have made donations to schools, organised charity events for sick children and provided insurance for vulnerable individuals. We also realise the importance of financial education and have launched a number of initiatives aimed at improving the public’s financial knowledge and awareness of risk prevention. Environmental protection and disaster relief are also key components of the group’s approach to corporate social responsibility. What are some of HNA Capital’s plans for the future? With the advantage of a multi-industry background and an established financial supply chain, HNA Capital is committed to the sustainable development of modern finance. By bringing together an elite international team and improving levels of service, HNA Capital provides comprehensive support to its global customers and delivers world-class financial solutions and investment opportunities. HNA Capital is committed to strengthening the foundations of the finance sector through making solid long-term investments. By espousing the importance of strong management, HNA Capital aims to improve the quality of business around insurance, leasing and other core sectors. Moreover, HNA Capital plans to create a global investment service network. We will catch the needs of the information age, expand emerging business areas such as internet finance and payment platforms, and explore new directions for business excellency. Through incubation, investment, cooperation, sharing and promotion, we aim to create a dynamic global ecosystem for financial innovation.